Always fascinating! I’m impressed at how dressed up those “at home frocks” were. I wonder what made them house dresses and not day dresses. The “gay cotton print”? 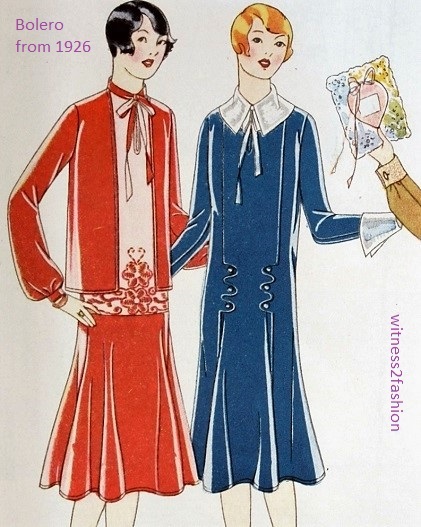 It is interesting that your American magazine features those two-tier flared skirts already in 1930. In Germany however they only appeared in 1936. I found some sewing magazines on eBay. 🙂 See item 163537852650 (1936) and 191725573192 (1931). I think cotton was considered an informal fabric. To go out, rayon, marketed as “art silk” (artificial silk), or a light weight silk, would have been correct. Rayon as a clothing fabric was a big break through, as it absorbed perspiration (it is cellulose, a natural plant fiber), took dye beautifully, and draped well. The draw back was it could shrink a lot when washed. I think it was a mistake to market it as artificial silk, as it has some good properties on its own as rayon. I, too, appreciate rayon fabrics. For me, washability is essential for a house dress — especially since they are liable to get wet while doing laundry or washing dishes (and children). Not to mention perspiration from canning food and beating those carpets…!